B 417 UPD Metal Chrome Low Back Armless Bar Stool with White Faux Leather Seat - Set of 2 A terrific addition to any kitchen counter or breakfast island, this beautiful Corliving low back bar stool combines top-notch design and durability for a truly timeless piece. Its contemporary look pairs well with a wide variety of rooms and decor styles. The adjustable height makes it an easy fit to any size bar or counter. The chrome base frame colour adds a fun style punch, and is surprisingly easy to match with many decor colours and styles. 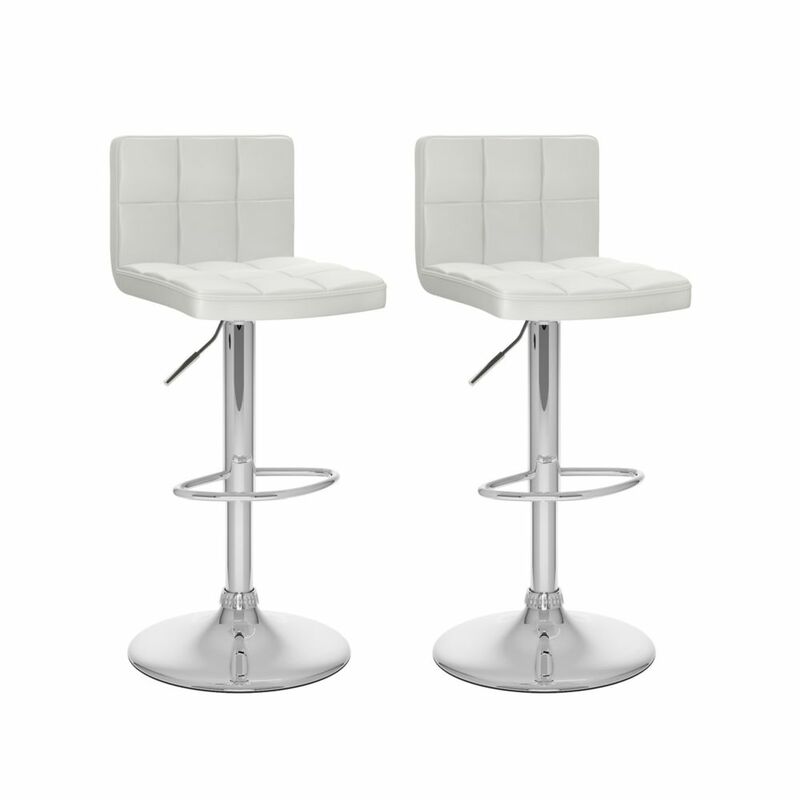 B 417 UPD Metal Chrome Low Back Armless Bar Stool with White Faux Leather Seat - Set of 2 is rated 4.0 out of 5 by 2. Rated 3 out of 5 by Kim from One chair had a light red mark. Was able... One chair had a light red mark. Was able to remove most of it. One chair has a bump on back that sticks out. Rated 5 out of 5 by HomeDepotCustomer from Beautiful chairs, very happy with my purchase.... Beautiful chairs, very happy with my purchase.